It is widely accepted that Manny Pacquiao’s next opponent will either be WBO welterweight champion Timothy Bradley or WBO light welterweight champion Ruslan Provodnikov. However, Pacquiao’s trainer Freddie Roach floated another name as possible opponent for the eight-division champion - Robert “The Ghost” Guerrero. "Guerrero has sparred with Manny many times and he thinks he gets the best of Manny. He's made that public before that he used to beat Manny up in sparring. I see it a different way, but I would love that fight and I think it's a great fight,” Roach said in an interview with SecondsOut.com. “There's a couple of other guys out there right now that I'm thinking about that are free agents. You look at Mayweather's last like four fights and so forth, if we can fight one of those guys that he went the distance with and knock that person out and be impressive, it puts us even closer to Mayweather because that's the fight we really want eventually," Roach said. “He Guerrero went the distance with Mayweather and I think if Manny knocks him out, it puts us even closer to the Mayweather fight." 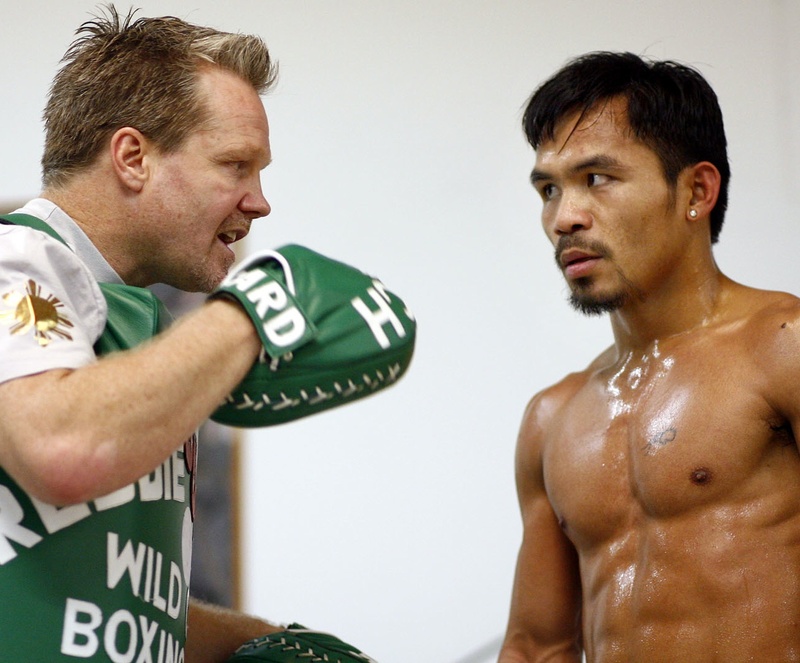 A Provodnikov-Pacquiao fight is not of interest to Roach as he trains both boxers. He helped the Russian turn into a big name, but he would be forced tp lose him to in order to train Pacquiao. “I don't think Manny really cares about that fight because the fight he talks about mostly with me right now is Mayweather." Guerrero for his part has been trying to wiggle out of his contract with Golden Boy Promotions, perhaps in an effort to join the Pacquiao sweepstakes. However, his promoter claims that their contract is iron-clad. Last May against Mayweather, Guerrero lost via a wide unanimous decision. He has not fought since.